Back in the 80's all the steakhouses had wedge salad on the menu. You were really being naughty if you ordered it alongside your steak because back in the day low-fat was king. I think about all the wedge salads I missed out on eating and it makes me a little sad, but I'm making up for it now with this new school California wedge salad that I just can't get enough of. 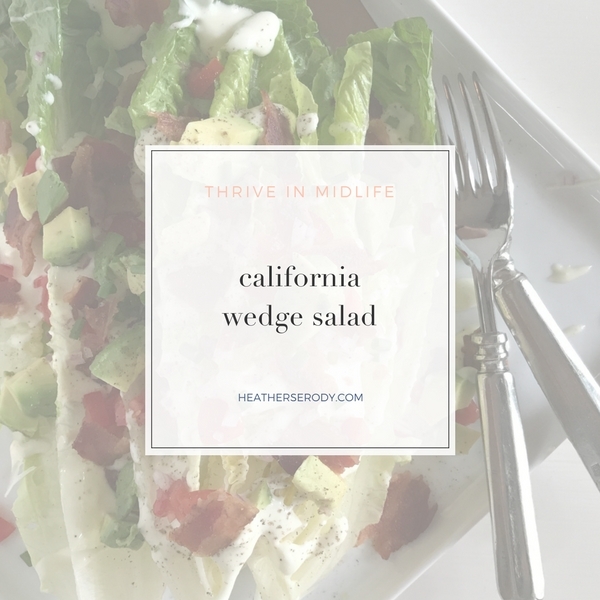 I make my wedge with halved romaine lettuce (new school) because it has so much more nutrients to offer than blah iceberg but it still has lots and lots of crunch. 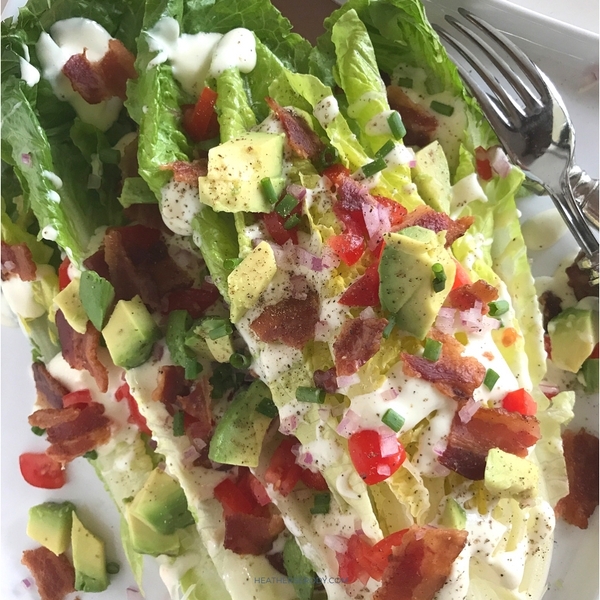 And with all of the yummy toppings like bacon, tomatoes, red onion, chives, avocado and blue cheese dressing it's got a ton of flavor plus almost zero carbs so it's keto, primal, and paleo friendly, too. Make this California wedge salad on its own just for lunch or pair it with a perfectly grilled porterhouse steak for dinner. 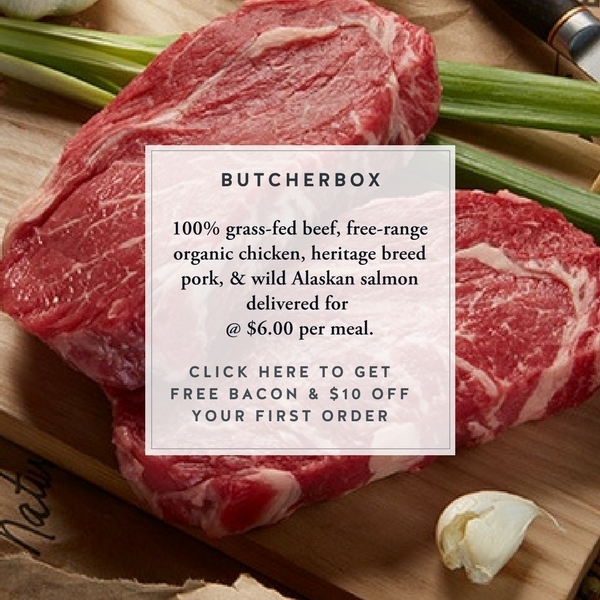 Let's be honest, few foods pair better together than a warm juicy steak and a cool crisp creamy wedge salad. Thank goodness low-fat is dead and I have a second chance to enjoy all of the yummy fatty things and feel way better than I ever did eating low-fat. Pour blue cheese dressing over romaine to the desired amount. Top each romaine half with half of the tomatoes, onions, avocado, and bacon.